Looking for things to do in Wellington? Here’s our top tips. Allow at least an hour but you could spend several. You might need a second visit! Make your way to Wellington waterfront. Include an enjoyable walk by the harbour. It’s a 15-minute walk from Lambton Quay. Historic cable car runs daily between Lambton Quay and Kelburn. 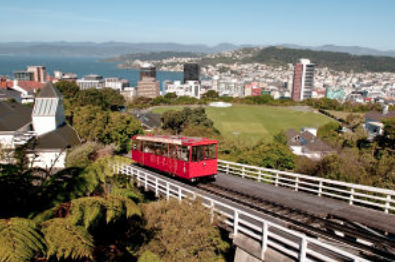 Go to the top to enjoy beautiful views of Wellington harbour and walk through the Botanical Gardens. You can follow the paths downhill, stop at the café, and then carry on walking down into the city. If you stay at the top, you can get a free shuttle to Zealandia (see below). 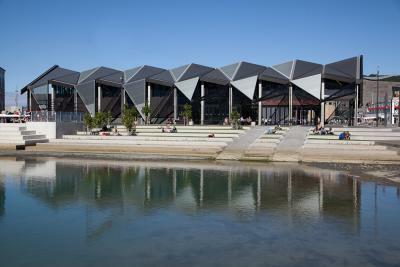 If you get off at Salamanca (before you reach the top), you can walk to the university on Kelburn Parade. The Botanical Gardens are open from dawn to dusk. Return $9, single $5 (See website for further details). You can buy a ticket online or go to the kiosk at the entrance on Lambton Quay. The Botanical Gardens are free. ZEALANDIA is an ecosanctuary, with beautiful walks where you can discover New Zealand native wildlife, like the tuatara and weta. 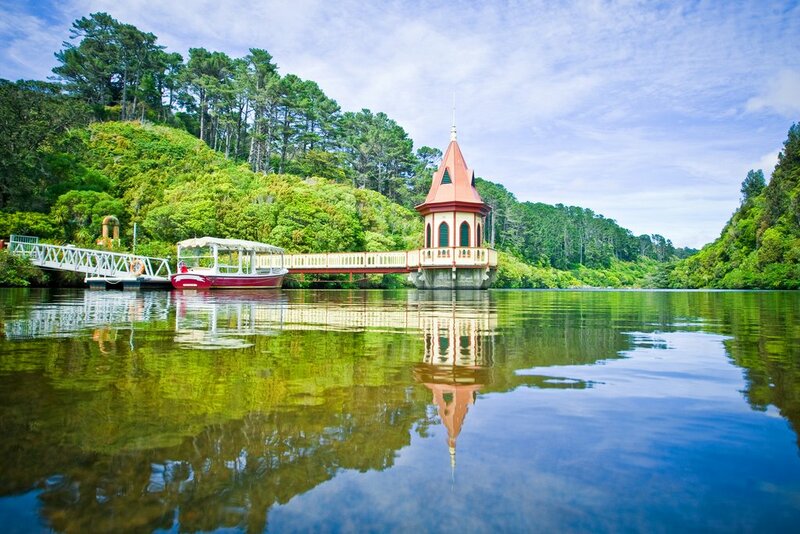 Zealandia is a conservation project that has successfully reintroduced species of native wildlife back into the area. Café on site. The Weta Cave is a special effects studio, museum and shop. 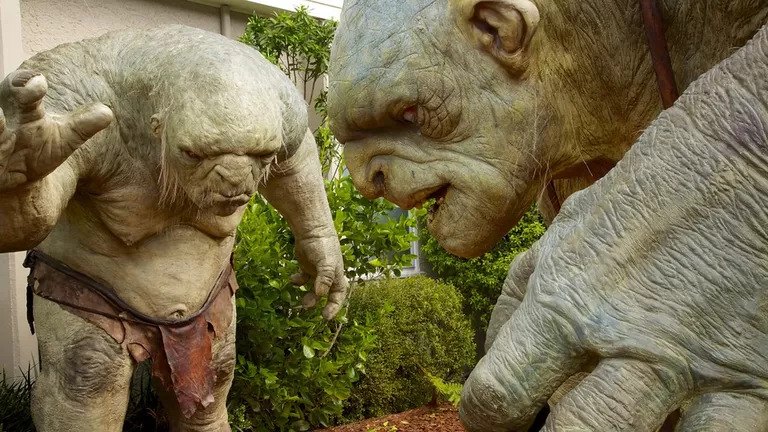 Visit to see the work of Weta artists who have created for films such as The Lord of the Rings, The Hobbit, District 9, King Kong, and The Chronicles of Narnia. Take a tour round Weta Workshop for a behind-the-scene look at how props, weapons, costumes and vehicles are crafted. Tours depart every half hour from the Weta Cave shop. Book online and collect ticket from front desk at Weta Cave at least 15 minutes before tour starts. Tours start from $28 per adult. See website for further details. You can take a bus from Lambton Quay North – Stop D, no 24. Get off at Nevay Road. 45-minute journey. Then 7-minute walk to Weta Cave. New Zealand’s first zoo and home to more than 500 native and exotic endangered animals. Café on site but you might want to take a picnic. Alternatively, you might enjoy a trip to the zoo with a walk round Newtown, a quirky suburb with a range of cafés. $25 per adult. See website for further details. Spend as long as you want. There are keeper talks and feeding times throughout the day. The first one starts at 10.15am with the Farm Feed and the last one is at 4pm with the Panda Talk. See website for further details. The No. 23 buses stop right outside the Zoo. Take a bus to Wellington Hospital (for example the No.1 and No. 3) and transfer at the Wellington Hospital hub (stop C). See www.metlink.org.nz for timetable. Takes approximately 30 minutes. 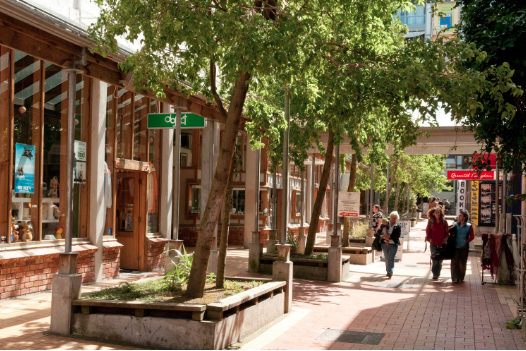 Follow a heritage trail or find others on the website (https://wellington.govt.nz/recreation/enjoy-the-outdoors/walks-and-walkways/across-the-city/heritage-trails). This was the headquarters for the Bank of New Zealand, which was opened in 1901. After falling derelict, it has been restored to its former grandeur. It now contains upmarket shops and a café. The mechanical, musical clock is well worth seeing. It performs on the hour every hour. Also, if you go downstairs, you can see the remnants of a sailing ship under the floor. The ship would have ended up on land after the 1855 earthquake. It was discovered during building renovations.